Our Model 190-LRSS belt-driven, live-roller straight spur section conveyor is used in diverging or converging applications. This conveyor section can be self-powered or slave-driven from a 190-ACC, LRC, or LRS conveyor. Roller bed with 1.9″ dia. 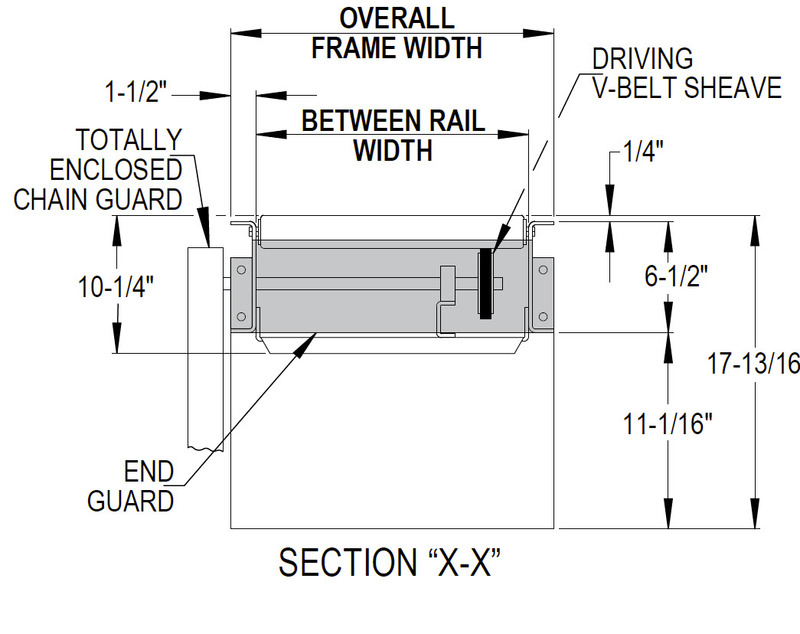 roller x 16 ga. galvanized tube spaced every 3″. 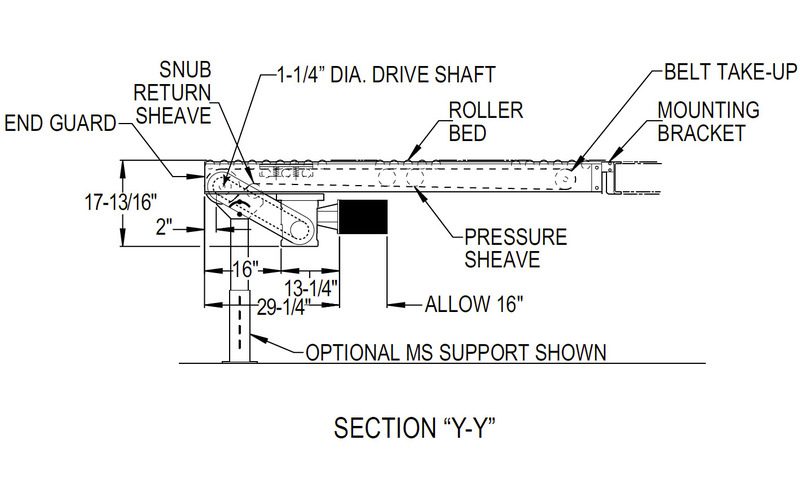 Rollers are mounted in a 6-1/2″ x 12 ga. powder-painted, formed-steel channel frame. A bracket is supplied to attach to side channels of 190-ACC, 190-ACZ, or 190-LR conveyors. Mounted underneath on the outside radius of the conveyor. Sealed worm gear C-Face speed reducer. No. 50 roller chain to drive sheave. Tread and pressure rollers have pre-lubricated ball bearings. Flange and pillow block have sealed, pre-lubricated bearings with eccentric lock collars. Sealed worm gear C-Face speed reducer with No. 50 chain to the drive shaft. Ready for a quote? Let's get the ball rolling.